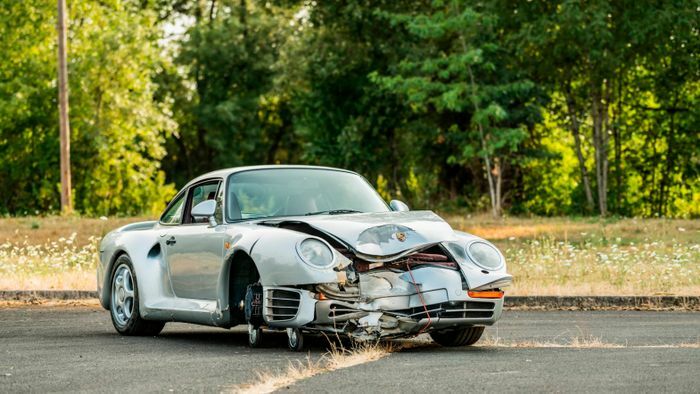 This totalled Porsche 959 still fetched $467,500 at auction after a bizarre accident en route to the sale left it looking like a write-off. 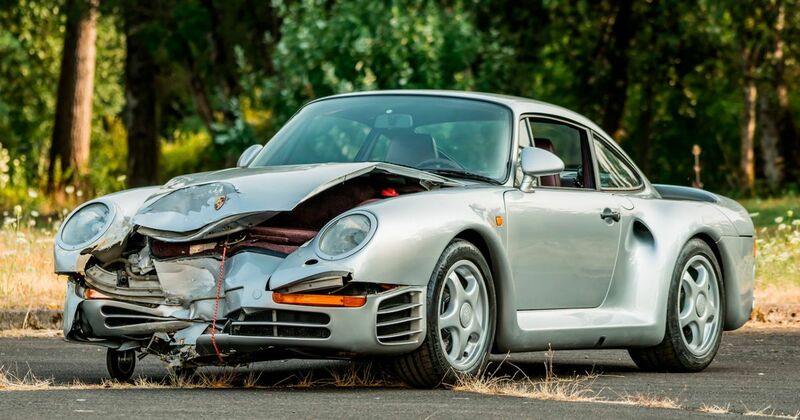 According to a report on Car & Driver (North American IP address required), the 959 was being towed in a dedicated, enclosed car trailer when the whole assembly detached from the vehicle towing it. Oh dear. 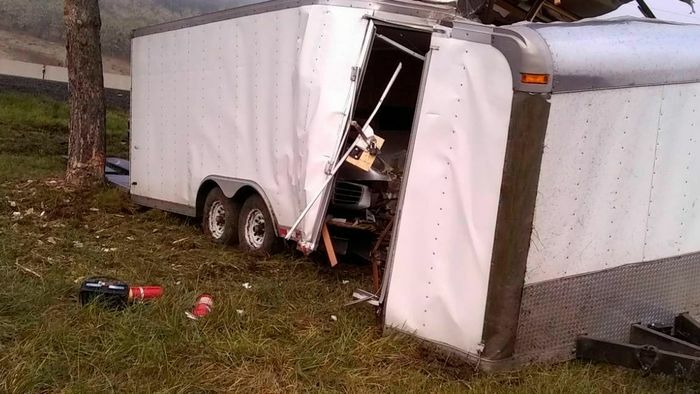 The trailer left the road and hit a tree. Double-oh dear. The car, which had been secured the usual way with tie-down straps, broke free in the initial impact and hit the tree as well, hence the trunk-shaped hole in its nose. There’s heavy, heavy damage to the front, but you don’t need us to tell you that. The left-hand drive collector’s item, one of just 294 ‘Komfort’ spec cars ever built, has also lost its passenger-side front wheel, no doubt owing to a few bent or broken suspension components. A video recorded before the eventual sale by auctioneers Mecum shows that the tear-jerkingly broken 959 does still start and (sort of) drive, but it’s clearly not in a good way. Even so, someone clearly still wanted it badly. With only 3657 miles under its belt this rare old German beast’s value will be much higher after the repairs. What’s not clear is whether the seller was driving the tow car or whether it was a contractor working for Mecum. Either way, we hope the insurance policy was, ahem, robust.